For the past few months I have been working on my various type design projects to ramp them up for a release under my own label. 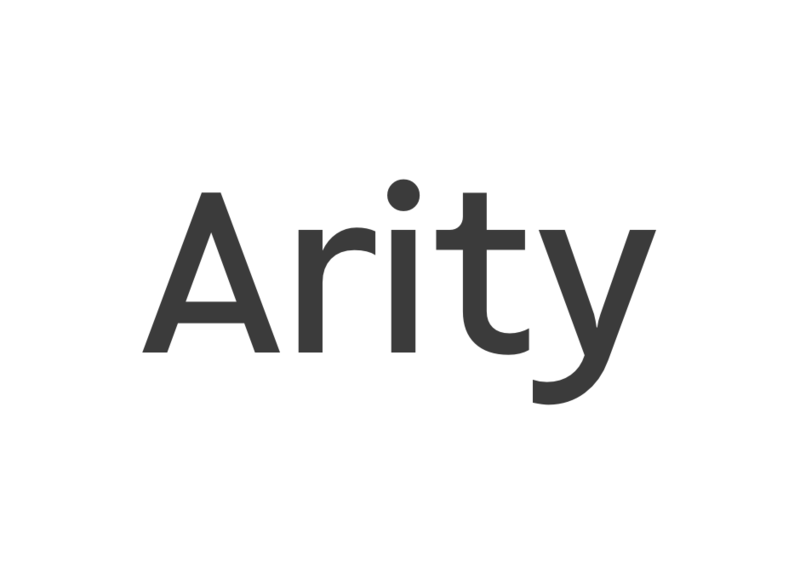 I did a thorough brainstorming session over the weekend and came up with a new name: Arity. I would like to throw this at you and get some feedback, your personal opinion, your gut feeling, your experience and your wisdom. The logo design is in early stages, but I like the direction. What’s more important to me is your opinion on the brand name. Before you dissect these values, keep in mind they are merely there to give the brand idea some direction. They are not to be taken literally. 58 views and not a single comment. This must be the least controversial topic ever posted on Typedrawers. It may be you're asking for a discussion of branding on a forum intended for a discussion of type. But here's a minor suggestion: I wouldn't use "display" in your core values that way, because that word means something different in typography. Perhaps "screen"? Thanks for these thoughts, Craig. I know what a Display font is, and it wouldn’t have occurred to me that someone could misunderstand it, particularly with the paper addition. These were rough notes taken before the brainstorming. But I take your point and have adjusted it accordingly. Regarding the brand: if it wouldn’t be about a type design publishing label (traditionally a foundry), I wouldn’t have brought it to this forum of type experts. I think it's clean and simple however my suggestion is to get it to work in B&W. You may not need it now but somewhere down the line someone else may and if you converted this to B&W, it won't work, only workaround is grayscale or you'd have to add an outline stroke for it to work in pure B&W. Also if you get it to work in monochrome or duotone it'll keep your printing costs down but more importantly it would work across various mediums. As for the concept, I think it's just toooo simple? In my opinion I think there's nothing interesting going on besides the offset colors, if you take away the colors there has be something interesting even to the average joe. Having said all that in reality branding can sometimes help resolve most of the uninteresting stuff in a logo. If you decide to stick to this concept, then I'd use the same color palette across various branding collateral because I think the your color palette is what's standing out the most than the type. I like the name. It's fresh, short, clean, modern and memorable. I'm assuming those are appropriate qualities for what you have in mind. I also like the looks of the logo — the colors are wonderful and airy (which sort of mimics the name). It's also the kind of logo that lends itself to motion graphics, if you're interested in that kind of thing. However, like AbiRasheed, I'd be concerned about how this will work in, both, greyscale and B&W. I'd also be a just little concerned about its readability. It looks nice, but it is severely out of register, which was intentional, but still, it impairs legibility. Actually, I think all these problems are solvable. Securing a good top-level domain for it might be a problem, though. Thanks for this great feedback, Abi and Cory. Exactly the kind of thinking I was hoping for. The brand will be introduced as a website, so it’s screen only in its first iteration. However, I intend to expand on the type publishing business. I am taking this year to try and make it a sustainable project. For those interested, the font is Bot Sans, a first font family under the new label. It is currently home at Core UX. The entire website is set in Bot Sans. IMO, "does the logo work in B&W" is getting ever-closer to questions like "how does it look when faxed?" or "will it embroider well?" Color printing, both personal and commercial, is ubiquitous and (relatively) cheap. As for the logo itself, you might try simplifying the r/i and t/y connections -- those small overlaps may be contributing to a feeling of clutter/tension. There's something to that. But "does the logo work in B&W" is also a call to examine the how the logo is working tonally (light and dark, divorced from hue)--and that's actually something that deserves more thought in this case. I appreciate all comments concerning the execution of the visual design. But the main question was about the name itself, its meaning in context with type design and the core brand values. I can immodestly claim to know more than my share of words, but I didn't know that one; it made me think "dry". However its admitted euphony might be more relevant than the obscurity of its meaning. Ergo: I like it. Mono [versions of] logos aren't just about printing in black, and besides what Craig said, logos [need to] end up in all kinds of places, some of them anathema to surfacing (versus outlining). Sorry -- put a logo in front of a designer and it's hard for them not to comment on its design. As for the name, my ignorance of high-level mathematics/computing led me to believe it was made-up, referencing words like "clarity" and "rarity." And like Hrant, I like it, at least partly because it doesn't have Foundry, Font(s), or a repurposed publishing term in the name. Marc, that was exactly my intention, to get away from classic names including foundry, or puns involving “type”. I didn’t know the word as well until I stumbled across it by accident. 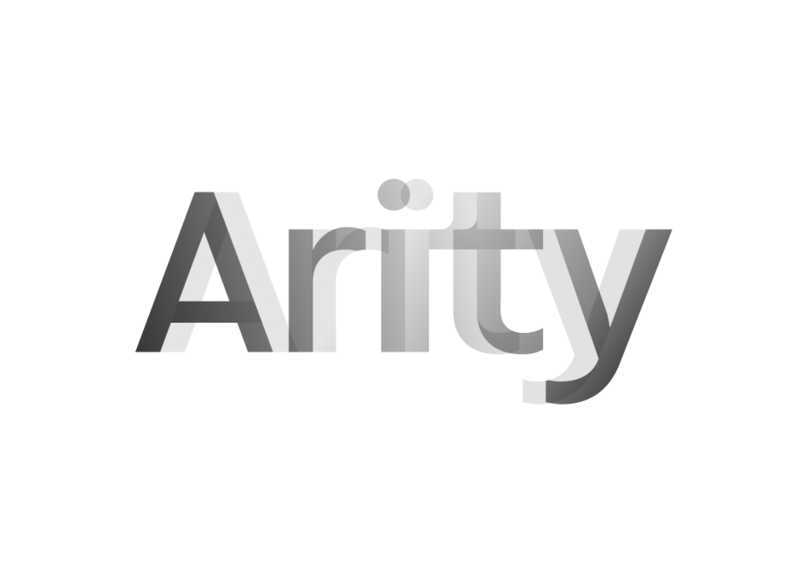 From what I understand, binary and rarity are both relatives to arity. You are right though, it doesn’t matter if people get the actual meaning of the word, as long it conveys the sense some of you described. @Marc Oxborrow Only that it's not cheap. For instance this logo would look great in letterpress but given the number of colors and to top it off it even has a gradient only adds to the cost. Because of how the colors are sitting on top of each other this may even limit your printing choices. Also what Craig said, stripping away color/backgrounds/branding mockups eliminates distractions so you can see the logo for what it is. The chances the logotype will be printed are very low at the moment. We are talking about a new brand that is display/screen only for the whole first year, or longer. Depending on the success of its introduction, I can think of more marketing budget, which could generate print material or ads in a print magazine. For now, the main application of the logotype will be on screen. I tested the black and white version, increasing the contrast and impression of “light beams”, which was part of the gradient concept. I wanted something vibrant that doesn’t look too harmonic, more like it’s in motion without actually moving. Some of you may have noticed I already polished the shapes a lot to reduce the amount of disturbing areas. The top of the yellow A was closed (white triangular gap) and the r-, t- and y-shapes had their tipping points cut off. I left the overlaps that were distinctively visible, also to keep the letter shape, such as the length of the t-bar. Had I shortened that, or cut it off where it touches the adjacent y-shape, I would have created a new shape language. I wanted to retain a sense of the original typeface design. This logotype is not easy to tame, it lives from the contrasting, vibrant colours and the seemingly accidental overlaps that create new colour areas. It is not a very mature, polished logotype. It is young and a bit non-conformist, just like the brand itself. For clearer comparison, here is the word set plainly in Bot Sans Semi Bold. What initially drew my attention were the contradicting triangular directions of the uppercase A and the lowercase y, with the i sitting almost centred. It’s good that you’re thinking about your brand, and also how that might be represented visually. Yet—and I’m saying this in an over the top manner to make a point: your logo is the least important thing you could focus your energy on right now. The type you release is so much more important. Your checkout process is so much more important. Your whole foundry website is so much more important. The way you show your typefaces is so much more important. Even how you reply to your (potential) customers’ emails is so much more important. Don’t get stuck with the small things that seem big. Focus on how to make your customers’ life better by doing things better than other people. So my piece of advice goes as follows: take what you have, it seems totally fine, and work harder on everything else instead. Is it just me or does that typeface have a bit of an Antique Olive vibe going on? I'm a bit bothered by the contradiction of the ink trap in /r and the spilled corner in /t, though. I do like the colors. I agree that having a B/W version is a good investment, though. Thank you, Thierry, for this reminder. This is why I asked if the name worked. I posted the logotype only to illustrate the name, not the other way around. I have been working on the typefaces for the past four years. One of them is nearly ready, but there are still months of work ahead for it to be complete. Bot Sans and Bot Mono have all the weights, but no Italics and diacritics are seriously out of order. take what you have, it seems totally fine, and work harder on everything else instead. Absolutely. You were not off with your thought in brackets. Interesting comparison, Christian. Antique Olive has a unique spirit. I’m not sure if you’ve seen the font in use (it’s on http://core-ux.com). There is one important rule I am breaking with it, deliberately, for the purpose of improving screen reading. The Sans version was born out of the Monospace version, which is not new, but also rarely uncommon. I remember Blue Monday’s Nitti families followed the same trajectory. Apparently Henning has been working on the name and logo since Saturday... He has not spent too much time on it yet. Especially the name, which is very important. Since you asked about the name: the first thing I thought of was the Greek word areté (Ἀρετή) meaning virtue or excellence. Of course, it has ancient/classical connotations rather than being modern or forward-looking. Oh, the first connotation I got was conputer science / linguistics / philosophy: "artity" means "the number of things applicable to something" - arguments to a function, transitivity of a verb, cardinality of a set etc. That wouldn't apply directly to fonts, so it didn't really convey anything to me - maybe this was some especially computer-sciency foundry, perhaps. Thank you for these comments. The mathematical link is the source of the name. In linguistics, the word would be valency. My goal was to find out if the name causes negative or contradicting emotions and memories, and if it has other qualities, to discover those with a quick survey among type designers. So far I’ve learned that many of you didn’t understand its meaning, but it didn’t matter, because you liked how it sounds. Which reminds me of Google, which derives from a deliberate misspelling of Gogol, the Russian mathematician. It’s a historic source with no meaning whatsoever to the average Google user today. 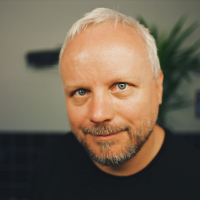 “The number of things applicable to something” seems a pretty good description to me, for a type publishing house interested in a fresh approach, looking for variety and evolution. That said, with a name coming from a rather dry source, I think the spirit and life needs to come out of the product. Actually, isn't Google's name a misspelling of googol, a name of the number 10^100 invented by a 10-year-old nephew of American mathematician Edward Kasner? I like the name, and like the logo. The colors somehow indicate a focus on webfonts which seems to be correct. In any case, the logo will certainly do for now, if not always. The typeface is quite brilliant if you ask me. At least it works very nicely on my Mac. Good hinting will be vital to make it work equally well on Windows, but I'm guessing you've already considered that.